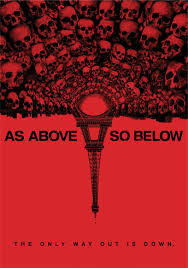 I have a confession to make: I wasn’t as thrilled with John Erick Dowdle’s As Above, So Below as I had hoped I would be. 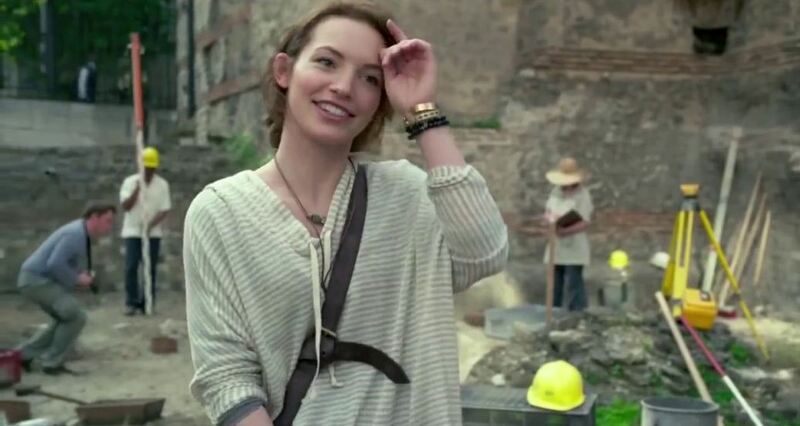 Loved the voice of lead actress Perdita Weeks. Loved the concept. Was meh on the film. However, it reminded me of an old addage a college professor once passed on to me: “Just because something is boring doesn’t mean that it doesn’t have meaning.” Back then, I thought he was nuts. Now, after blogging about movies for over a year, I can see the beauty in that statement. As Above, So Below typifies this for me. No, it’s not my favorite, but that doesn’t mean that it doesn’t have something to say about how the nature of alchemy is something transformative to the richness of the spirit, using Hell as the ultimate crucible. Here’s the thing about alchemy: it’s very object-based, and seeks to concentrate an awful lot of power into an object which we would perceive as ordinary. When most people hear the word, they tend to think of a Medieval crackpot trying to change wood into gold; for many, it’s a pseudo-science that’s used to perform the impossible, e.g., the transformation of something of relatively low monetary value into something of far greater monetary value for personal gain. Oftentimes, the practice is associated with the ability to conquer worldly ails through wealth, and otherworldly ails through immortality. It’s a means to an end, and the end is often human greed and fear of death; it’s the never-ending quest to become King of the Mountain. Thanks to the Harry Potter series, we also tend to associate it with the defiance of death in order to live forever. In this respect, As Above, So Below explores that limited definition of the practice. Scarlett (Weeks) seeks to continue her beloved late father’s work by attempting to locate the Philosopher’s Stone. As a scholar of alchemy, she wants to educate others in terms of the practice’s philosophies and history, which includes the relic as a type of mascot. To do this, she ventures into the catacombs with George (Ben Feldman), Papillon (Francois Civil), Souxie (Marion Lambert) and Zed (Ali Marhyar). Papillon and Souxie are treasure-hunters, who lost track of friend La Taupe – A.K.A. The Mole (Cosme Castro) – some time before after La Taupe entered the catacombs seeking riches. At first, eyes are on the prize: Scarlett wants to find the stone to validate her work, and there’s promise that whatever treasure the rest find is theirs to keep. As way leads to way in a horror film, though, the group quickly realizes that they’re trapped in hell and can’t escape. Cue the scary music, jagged camera cuts and jump scares. Fun with friends on a Friday night. Where this piece soars is its subtle judgment not only of the characters’ motivations, but of the true nature of the practice of alchemy. Early in the film, the pursuit of the stone is referred to as “madness,” as we watch Scarlett risk death (both by execution for trespassing and cave-in) for a glimpse of more knowledge in the form of the Rose Key. The emphasis of the stone for Scarlett is initially on healing and safety: she uses the stone to heal Souxie and later George, placing emphasis on the healing properties of the stone rather than any form of knowledge. However, a twist in the plot offers some insight into the core practices of alchemy: the notion of transformation, and not just of worldly possessions. There are subtle riddles leading up to this: on the tablet inscription Scarlett examines with George, the key is being carried on the back of one of the travelers questing to find the stone, suggesting that its with the individual at all times. Scarlett and George are also able to decipher a key point of text concerning their mission: “what is lost shall be regained halfway betwixt the darkest gate.” Dowdle is giving us the answer right at the beginning, in plain sight: Scarlett already has the makings of the stone within her; all she needs to do is go looking for it once she realizes that it’s in herself. She gets it when she looks into the mirror above the inscription where she found what she thought was the stone. 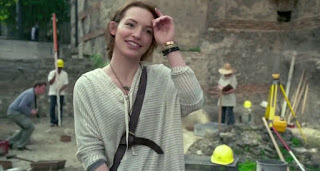 The physical stone was a decoy: as mentioned earlier in the film, she had to look for something ordinary, something that she would easily miss as being a vessel of magical transformation and healing. That something ordinary was herself. Sure, the physical stone worked initially, but when it really mattered, it didn’t – she had to unlock the riddle and transform her mind in order to harness the true power of healing. And that is where we get some of the Islamic and Hellenistic versions of alchemy. It’s the practice of bending religion, philosophy and science to transcend the self in order to manipulate the world around the individual, whether for medicinal or wealth purposes. In order to survive, our remaining characters must face their deep regrets: the inability to save someone else, whether it is through finding help, listening to a depressed family member, or acknowledging an illegitimate child. Each one has to let in deep guilt and let it transform them into something stronger, and the one that realizes how it works – Scarlett – is the one that places it into medicinal application, as the Chinese version of alchemy was focused. Once she has changed, she can heal and guide the others. The wealth they wind up receiving is the gratitude for their lives, a far greater reward from a spiritual perspective. In this sense, Hell is the final element needed to transform the individual and forge a stronger version of the self that can accomplish anything. Hell is the missing alchemical ingredient. This actually is not a bad ending. Scarlett, in her final words, declares that the stone would be “of great historical value.” She doesn’t want it for wealth, fame or immortality – she wants it in order to educate others. In the end, she uses the power she had all along in order to survive Hell itself; she merely needed the catalyst of Hell in order to unleash what was already there. Hell is what transforms her and changes her into a human incarnation of the Philosopher’s Stone. Through this, she is able to transcend, proving that facing your regrets in this life can bring healing, survival and education to others.